I walked into my bedroom the other day to find my husband teaching our boys how to tie a tie. We didn’t have any special occasions coming up so I asked him what prompted this. Later that week he took them outside to show them how to jump start a car. I understood what he was doing. He wanted to give them a foundation before they left us. To make sure they had what they needed to launch into adulthood and live on their own. It’s the same reason my dad taught me how to balance a checkbook and my mom taught me how to cook before I left for college. It got me thinking about my own foundations – figurative and literal. My dad is a homebuilder and when I was a little girl he would take me and my sisters to new developments where basement foundations had been poured and dried, ready for the framing of a new home. These lots became our playground. Holding tightly to my dad’s hand, we used to run across the hardened concrete like a wide balance beam. The foundation was strong and sturdy. We knew it would hold us up. And keep clinging to the Rock of Ages, no matter what. Last week’s post, What Does it Really Mean to Trust God, came at a perfect time for me. 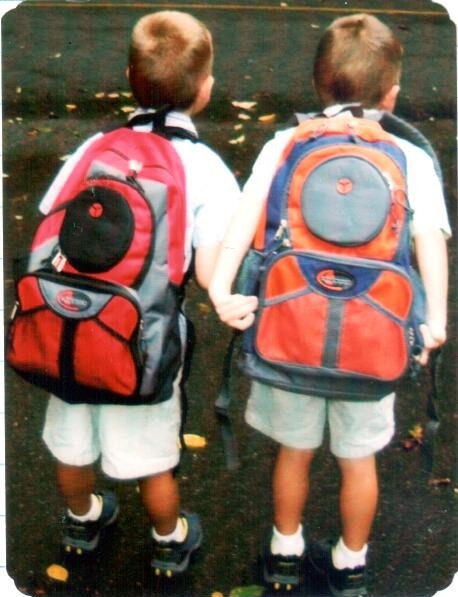 Tomorrow I send my twin boys off to their first day of high school. Four more years before they strike out on their own, to see what the world and our God holds in store for them. The ticking of the clock is deafening. And so I wrote this prayer to help me remember what I have always known. when my children will fly out into the world. To choose, to lose their way, to find it again. What if…they do not find their way? Why is it so hard this time? Will I ever be ready…enough? And then one thought echoes in my frightened, restless mind. What I have always known.